I’m just back from a week in Tucson, where I helped my sister sell her art glass beads at The Best Bead Show, which is part of the annual Gem and Mineral show that takes over the entire city for nearly a month. As a downtime project, I took along Bunny Mummy’s free crocheted owl pattern and a bunch of scrap yarn. I made my first crocheted owl. 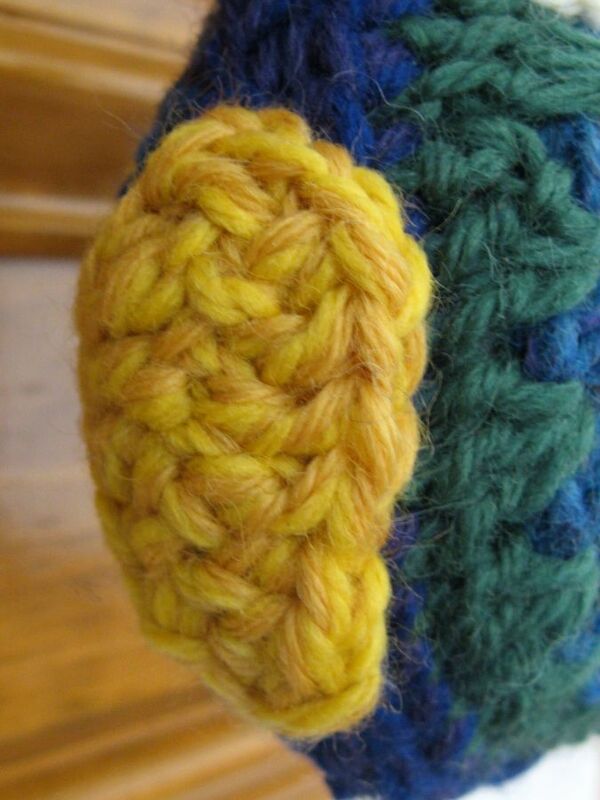 The pattern is very detailed and easy to follow, with lots of photos to help explain things. 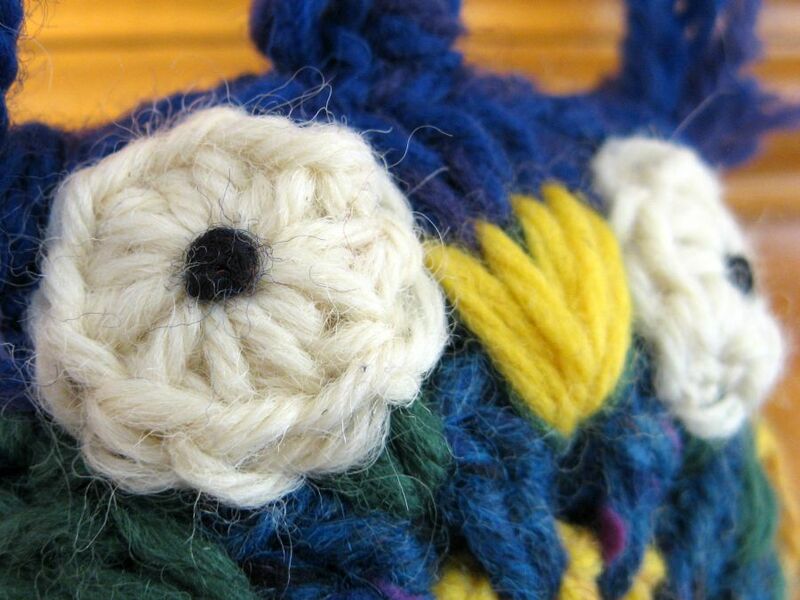 I used yarn instead of beads for the center of the eyes, but otherwise I followed directions. I even made the wings, although I don’t think it necessarily needs them. My yarns were not all the same weight, so I doubled up on the thin ones. Instead of using a single yarn doubled, however, I put together two different light-weight yarns of similar shade, which gave the final project richer colors. 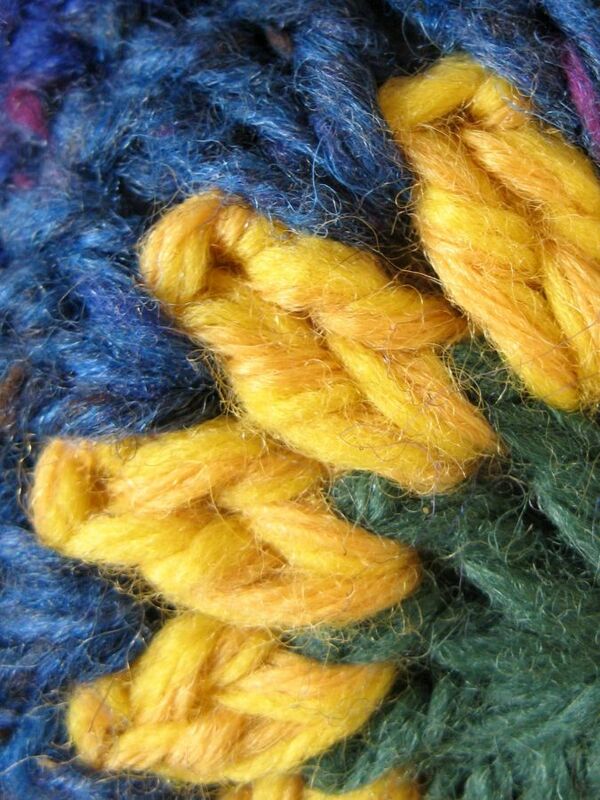 The yellow (except for the beak) is two yarns, and the dark blue-purple is one strand of blue, one strand of purple. If you look closely, you can see that the yellow is really one strand of yellow and one of gold. The only thing I don’t like about this project is the size. I was hoping for a more petite owl, so I will try this again with a sock yarn and see if I can deal working that many stitches that small. My other project from the week is a necklace I made while in Tucson. 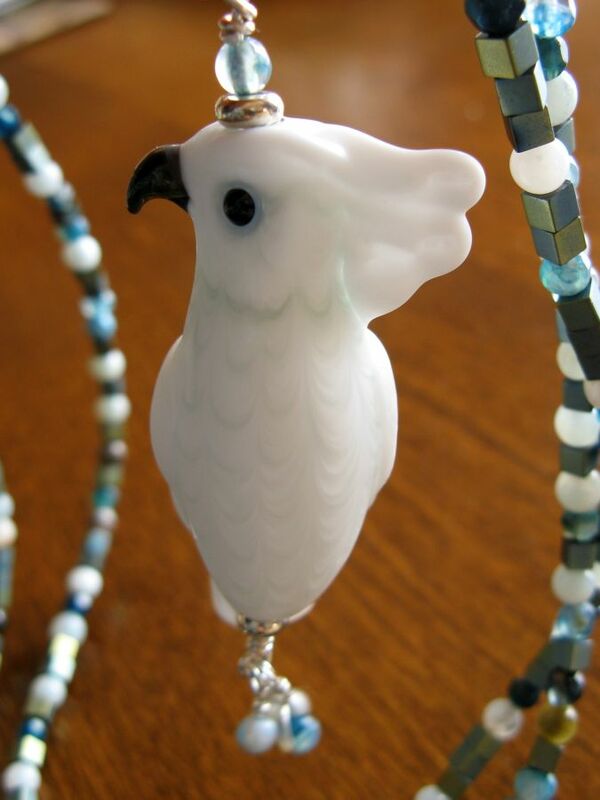 My sister gave me the beautiful cockatoo bead as a thank you for helping her out and I bought the rest of the beads at the show. Then she helped me finish it since my jewelry-making skills are rusty. I love how it came out. 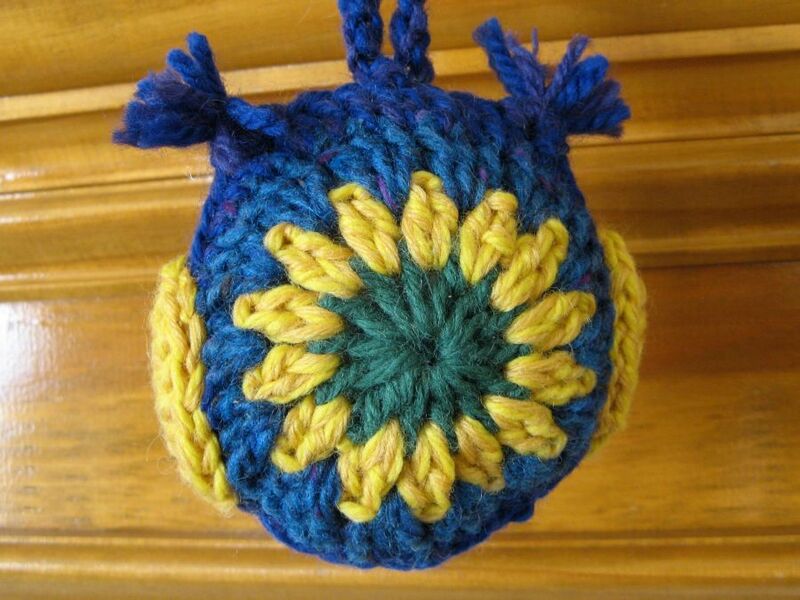 Have you finished an art or craft project recently? Share it here! Thanks! 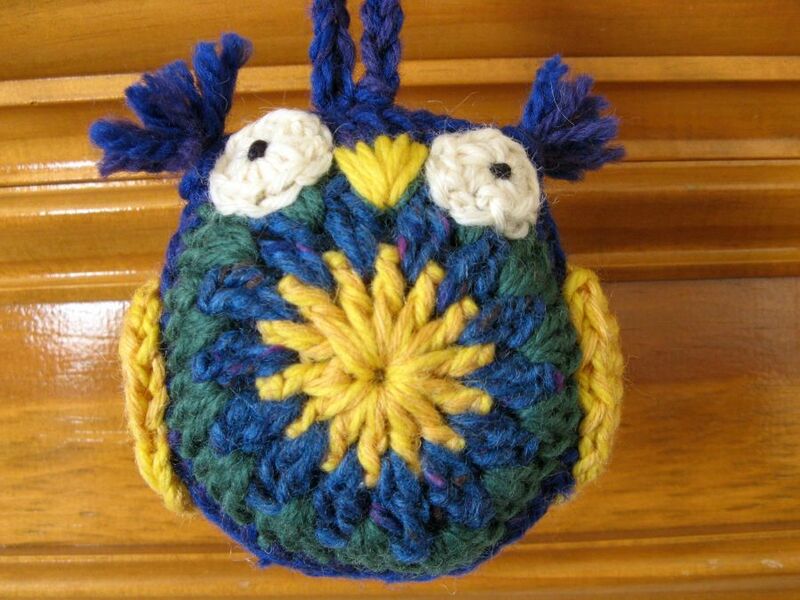 Turns out the owls are even cuter when made with sock yarn.